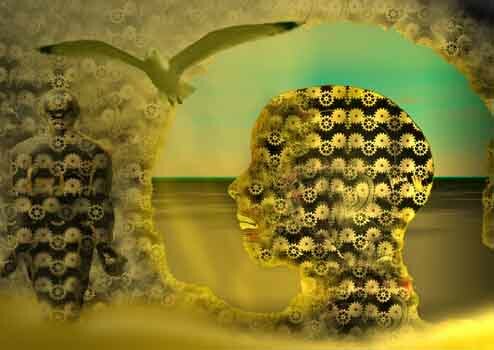 Read Me Deadly: Coincidence, Serendipity, Synchronicity or Voodoo? Coincidence, Serendipity, Synchronicity or Voodoo? Lately, it seems like there is a lot of coincidence going on in my reading and viewing life, from the ridiculous to, well, maybe not the sublime, but at least the not-at-all-ridiculous. But let's start with the ridiculous. When I woke up on Monday, March 4, I'd never heard of the Harlem Shake. Within a space of 45 minutes, I came across three separate features about it online and on TV. Breathless, top-line reports as if this is something earth-shattering. I decided to look at the bright side, though. The advent of the Harlem Shake probably means the end of days for Gangnam Style, right? Enough silliness; on to the not-at-all-ridiculous, where coincidence has multiplied and intensified to the point that it feels like synchronicity, or some kind of voodoo. 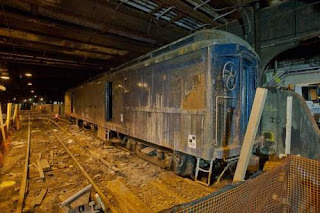 A few months ago, I read two books that each referred to a bit of historical trivia I'd never heard about: President Franklin D. Roosevelt's top-secret train stop under Grand Central terminal in New York City. As you probably know, FDR was a New Yorker and often visited the city during his presidency, for personal and political reasons. It was important to him that he not be seen in his wheelchair, so he used a secret train stop to allow him to arrive out of sight of the press and other passengers and visitors to Grand Central. According to legend, FDR's private armored train would travel to Grand Central and stop at the underground Waldorf Astoria Hotel platform. Some claim that upon arrival, his Pierce Arrow automobile would simply drive out of the railcar and onto an elevator that would whisk the car to the hotel's garage and allow FDR to get into the hotel unobserved. 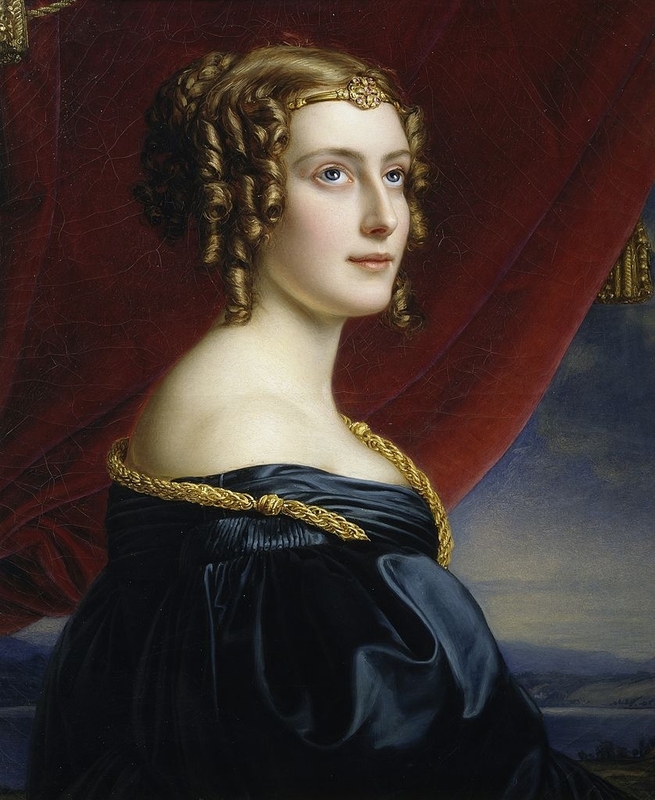 The first I heard about this was when I read Jack 1939 (Riverhead, 2012) by Francine Mathews, who is probably better known to mystery readers as Stephanie Barron, author of the Jane Austen "Jane and the . . . " series and the Merry Folger series set in Nantucket, Massachusetts. Unfortunately, Jack 1939 is dreadful, but that's neither here nor there at the moment. Mathews uses the secret train stop as the scene of a hush-hush meeting between FDR and new college graduate John Fitzgerald Kennedy, in 1939. JFK is about to go off on the traditional graduate's European tour, and FDR asks him to do some discreet spying to assess the political situation in various locales. No sooner had I gratefully put down Jack 1939, than I read Robert H. Reid's Year Zero (Del Rey, 2012). This very silly but entertaining novel features Nick Carter, a New York City intellectual property lawyer teetering on a career precipice. Only his bringing in some fantastic new client can save him from his firm giving him the boot. That save doesn't seem likely, though, until a couple of aliens materialize in his office, bringing him the biggest copyright infringement case of all time. Aliens Carly and Frampton tell Nick (who they incorrectly think is Nick Carter from The Backstreet Boys in a second career) that aliens discovered Earth music some years back, during the "Kotter Moment"; the instant when their monitoring of US airwaves allowed them to hear the Welcome Back Kotter sitcom's theme song. It threw them into such ecstasies that brains literally melted. They sent teams to secretly copy all of the Earth's music for the listening delight of the universe. This turns out to be a problem––even aside from the brain melting. The universe is run by the Refined League, which insists that all local laws be obeyed. That means that the United States' draconian fines for unauthorized music copying will bankrupt the entire universe. Some think a better solution is to obliterate the Earth. Carly, Frampton and Nick race against the clock to find a solution before the Earth goes boom. A recurring location in this delightful caper is––you guessed it––the secret Grand Central tunnel and, specifically, the platform under the Waldorf Astoria. Author Reid tells us the FDR story, as well as the platform's use in this story, which is to serve as live/work space for the alien drudge clericals whose job is to do the actual music copying and broadcasting into space. Lawrence Wright's recent best-seller, Going Clear: Scientology, Hollywood and the Prison of Belief (Knopf, 2013) is a fascinating look inside the secretive movement, from its establishment by pulp sci-fi writer L. Ron Hubbard, to the present day. 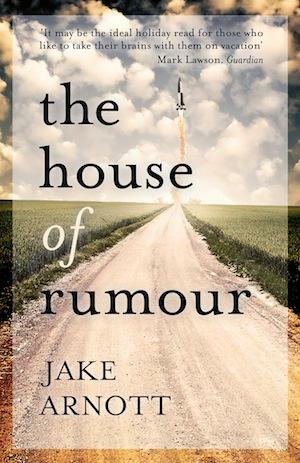 I was listening to it on audiobook when I picked up Jake Arnott's House of Rumour (Little A/New Harvest, 2013), a kaleidoscopic vision of the 20th century, mashing together the real and imagined, with a focus on World War II spycraft and a circle of West Coast science fiction writers. 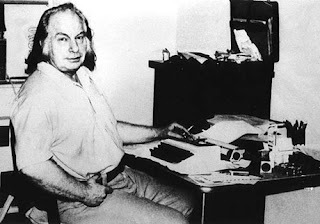 When Arnott's (imagined) character, aspiring writer Larry Zagorski, is invited to a social meeting of Robert Heinlein's (real) Mañana Society, who should be there, across the room and hitting on girls, but L. Ron Hubbard. Not only that, but in the WW2 spycraft part of the story, we see double agent Tricycle, who is one of the eccentrics featured in Ben MacIntyre's Double Cross: The True Story of the D-Day Spies, which I reviewed here. To make for a trifecta of coincidence, there is even a part of House of Rumour that takes place at the doomed Jonestown colony in Guyana, which I'd read about in detail a few months ago in Julia Scheeres's A Thousand Lives: The Untold Story of Hope, Deception, and Survival at Jonestown. House of Rumour is an ambitious and fascinating book, but, in my view, its fractured plot and disjointed narrative don't come together until too near the end of the book to make it successful. Still, this is an unusual novel of ideas that should appeal to many. A review in The Guardian says that the book "perhaps most resembles The Da Vinci Code, rewritten by an author with the gifts of characterization, wit and literacy." Given my obsession with World War II espionage, it's not much of a surprise when multiples of the same war topics come up in my reading and viewing. Still, the codebreakers at England's Bletchley Park seem to be practically living at my place recently. Sinclair McKay's The Secret Life of Codebreakers: The Men and Women Who Cracked the Enigma Code at Bletchley Park, which I reviewed here, focuses on the daily life in Bletchley Park for the 10,000-plus men and women who worked there in utter secrecy to crack the codes used by the Axis powers during World War II. Ben MacIntyre's Double Cross spotlights the oddball pack of double agents whom British intelligence used in the field––like Tricycle, mentioned above. These agents had no direct contact with Bletchley Park, but cryptographers there were involved in the agents' work, especially decrypting messages that the agents obtained for them or led them to. Just last week, Bletchley Park popped up again, as PBS began airing the three-part British miniseries (from ITV), The Bletchley Circle. Set in London in the 1950s, four women who had worked at Bletchley Park are finding out, as Sinclair McKay details so well in The Secret Life of Codebreakers, that postwar life can't hold a candle to the sense of purpose and feeling of excitement they'd had during the war. Life is flat, gray and dull. That is, until they decide to use their various skills, honed during their war service, to catch a serial killer. Even if you're not all that interested in codebreaking or Bletchley Park, you might want to try The Bletchley Circle for its depiction of how tough it was for these women to adjust to postwar life. Returning to the everyday was a letdown for any Bletchley Park veteran, but women had further to fall, as they went back to the humdrum of housework and clerical and service jobs, and husbands who may not have a clue about their talents or any respect for their war work. No wonder chasing down a serial killer seemed like a great idea. I don't know exactly why there has been so much unintentional coincidence in my reading of late, but I'm finding that the depiction of people or events in one book tends to have a different slant or emphasis from the portrayal in another book, and these two views inform and enrich my reading of both books. It's a case of the whole being more than the sum of the parts.